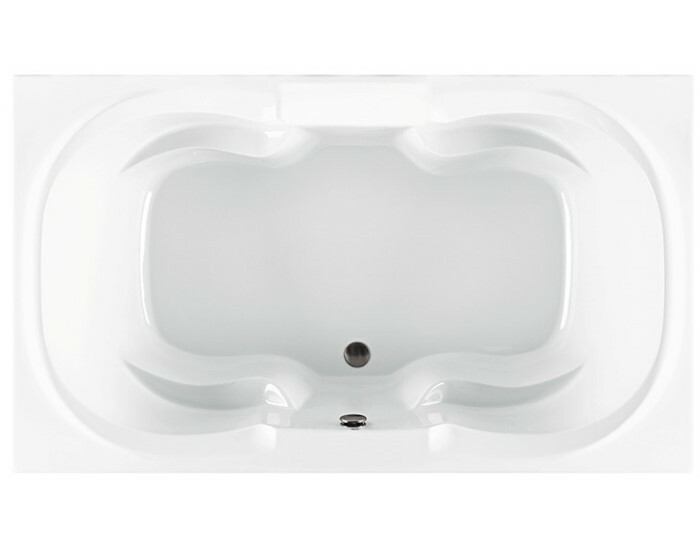 Rectangle 72" x 42" Drop-in Bathtub Tranquility 1 provides a serene bathing experience. Rectangle bath with an oval bathing area. Raised back rests and armrests for comfort. The center drain with two backrests provides the option of two bathers. 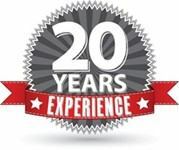 Choose your perfect bath: Soaking Tub, Heated Soaking, Stream Bath, Microbubbles, Air Bath, Whirlpool or Combo Whirlpool-Airbath. 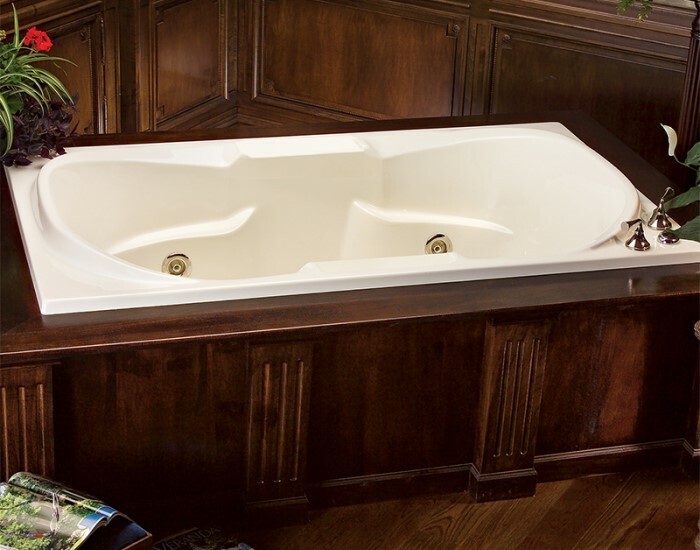 Tub Size: 72" x 42" x 20.75"
Bottom Interior: 49" x 22"